What to do on a night like this? San Diego’s weather is pretty ideal in the summer for night time fun! 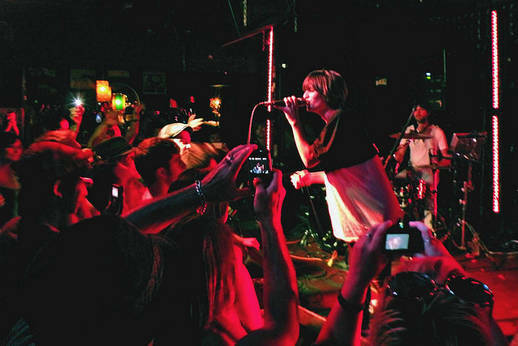 Especially if you are a live music lover or music lover in general, San Diego has a multitude of live venues for the avid listener (or dancer!) or the music collector seeking out rare vinyl and ephemera! Have a taste for nostalgia? Looking for the odd LP or rare audio cassette tape? Record stores are alive and well in San Diego. Take a cab or SD transit to Hillcrest and North Park neighborhoods. This entry was posted in Attractions, Events and tagged #saa12, music, records. Bookmark the permalink. 1 Response to What to do on a night like this? 3749 Park Blvd (corner of Robinson) Open Tues To Sat 11am-6pm/Sun 12pm-5pm.